I have been serving the Russian Church Abroad for 28 years in the capacity of an academic and steward. I was born in Moscow into a non-religious family. In 1985, after completing high school, I converted to Russian Orthodoxy. In 1988 while visiting relatives in Boston I made a pilgrimage to Holy Trinity Monastery. In 1990 I came to the United States to enroll in Holy Trinity Orthodox Seminary, intending to return to the USSR upon completion of my studies. My Bachelor of Theology thesis focused on the life of ROCOR Archbishop Leontii of Chile and Peru († 1971). In 1995 I graduated from Holy Trinity, and His Eminence Archbishop Laurus († 2008), rector of the seminary, appointed me to teach Russian Church history. Since that time I have been teaching a course unique in North America for the level of detail covering the entire history of the Russian Church from 988 till 2007. I completed my Master in Theology under Fr. John Erickson at St. Vladimir’s Orthodox Theological Seminary. In 2004 I submitted my thesis on The Attitude of the Russian Orthodox Church Abroad toward Non-Orthodox Christians and the Ecumenical Movement (1920-1964): an Historical Evaluation. My major specialization at St. Vladimir’s Seminary was Church history, and my minor was canon law. Expanding on my research at St. Vladimir’s Seminary, I have traced the origin of canonical arguments cited in a decree of the Russian Church Abroad Bishop Council in 1971 in recasting policies regarding the reception of converts. I published my findings in “The 19th Canonical Answer of Timothy of Alexandria: On the History of Sacramental Oikonomia,” St. Vladimir’s Theological Quarterly 51:2-3, (2007): 297-320). While studying at St. Vladimir’s I realized that, inasmuch as Russia had become Orthodox after the Church had already existed for a millennium, a proper scholarly background for one with my interests would entail study of Byzantine imperial and ecclesiastical history. In 2009 I enrolled in a doctoral program in Byzantine studies at Queen’s University, Belfast. My research bears on the canonical evidence generally invoked in the recent history of ROCOR: Chasing Canon 15 of the First and Second Council in Constantinople (861): A Study of the Limits of Communion in the Byzantine Church (861- c.1350). This is an auspicious juncture to be a historian of the Russian Church Abroad, since we can now finally move beyond polemics and evaluate our past with some critical distance. In 2006 the Fourth Pan-Diaspora Council was held in San Francisco. At that council I presented a report on “The Development of the Russian Orthodox Church Outside of Russia’s Attitude Toward Other Local Orthodox Churches and Non-Orthodox Christians.” This analysis of the complex evolution of the phenomena in question helped some clergy of the ROCOR make an educated choice regarding reconciliation with the Russian Church. In 2008, with the blessing of His Eminence Metropolitan Hilarion, the first hierarch of the Russian Church Abroad, I founded the Web site Historical Studies of the Russian Church Abroad. Now, ten years later, I intend to move to the next step, founding an Institute for the Study of Russian Church History. From 1988 to 1990 I served as correspondent for Holy Trinity Monastery’s bi-weekly periodical Pravoslavnaia Rus’, ROCOR’s flagship publication, and from 1991 to 2001 I held the position of managing editor. From 2001 to 2003 I served as secretary to Bishop Gabriel (Chemodakov) of Manhattan. In 1998 I was installed as reader by Metropolitan Laurus; in 2008 Metropolitan Hilarion installed me as subdeacon and in 2009 I was ordained deacon by the same hierarch. I have served the ROCOR in various capacities: member of the committee for the revision of ROCOR regulations; member of the publishing committee; member of the joint committee of the ROCOR and Moscow Patriarchate on the canonization of the saints; and speaker at the Fourth Pan-Diaspora Council in San Francisco. Since 2015 I have served, by appointment of the Synod of the Russian Orthodox Church, as member of the theological and canon law committees of the Inter-Council Presence, a consultative body of the Russian Orthodox Church. A textbook on the history of the Russian Church in the Twentieth Century (work in progress). An Institute for the Study of Russian Church History (I am working on organizing a steering committee). [Together with Dr. Nadieszda Kizenko] “The Russian Church Abroad, the Moscow Patriarchate, and their Participation in Ecumenical Assemblies during the Cold War, 1948-1964,” in North American Christian Community and the Cold War, Paul Mojzes, ed. (Eerdmans, Grand Rapids, MI: 2018). Metropolitan Lavr (Skurla),” [in Russian] Pravoslavnaia Entsiklopedia 39 (Moscow, 2015). “Current law of the Russian Orthodox Church,” Kanon: Yearbook of the Society for the Law of the Eastern Churches 23 (2014). “Exarch,” “Excommunication,” “Canon Law,” “Canonization,” and “Repentance,” Encyclopedia of Eastern Orthodox Christianity, ed. John A. McGuckin 1-2 (Oxford: Wiley-Blackwell, 2011). [Together with Dmitrii P. Anashkin] “Metropolitan Hilarion (Kapral),” [in Russian]. Pravoslavnaia Entsiklopedia 22 (Moscow, 2009). “The Orthodox Church Needs Canonists” [in Russian]. Published on Bogoslov.ru [Feb. 6, 2008]. Republished on Pravoslavie.ru the Web site of Sretenskii Monastery in Moscow, on the Web site of the News Agency Russkaia Liniia, and on the Web site of the Church of Sts. Peter and Paul in the town of Siverskii; The English translation. 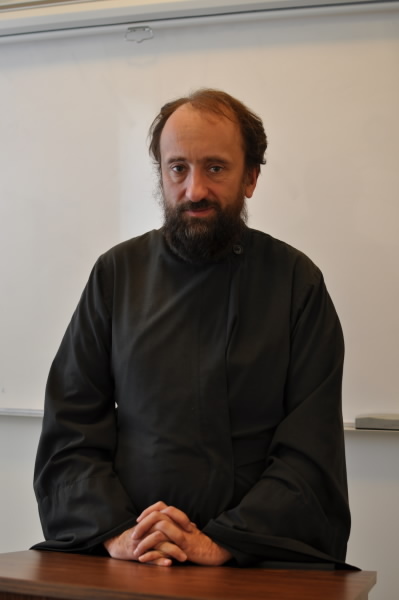 “‘The Soul and Heart of a Faithful Englishman is not Limited by Utilitarian Goals and Plans’: The Relations of Metropolitan Anthony Khrapovitskii with the Anglican Church.” Metropolitan Antonii (Khrapovitskii) Archpastor of the Russian Diaspora: Conference Proceedings =Readings in Russian Religious Culture 5 (Foundation of Russian History, Jordanville, NY, 2014); Sobornost 33 (2, 2011); Vestnik PSTGU: Istoriia Russkoi Pravoslavnoi Tserkvi, St. Tikhon University for the Humanities, Moscow 29 (II-4, 2008) [in Russian]. “The 19th Canonical Answer of Timothy of Alexandria: On the History of Sacramental Oikonomia,” St. Vladimir’s Theological Quarterly 51:2-3 (2007): 297-320.